Purchase 1/2 cans of Root Beer and vanilla icecream. Each person can have their own 1/2 can and make their own float by adding icecream in a cup or mug. Smaller portions make this treat more manageable. 1. Remove bananas from freezer and let sit on the counter for 5 minutes. 2. Peel bananas and break or cut into chunks, then place into a food processor. Pulse about 20 times until bananas are in small pieces, then blend until smooth. If necessary, stop the machine and scrape from the sides. 3. 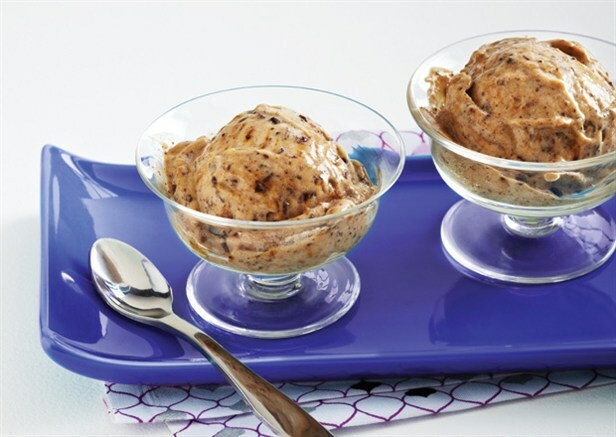 Add the coffee, cinnamon and chocolate to the food processor, and blend again to fully incorporate. Serve. 1. To make coconut cream, refrigerate coconut milk overnight, then scoop cream off the top when separated. 2. Preheat oven to 350˚F. Spray a mini muffin tray with nonstick cooking spray. 3. To make cupcakes, combine all dry ingredients in a large bowl and set aside. 4. Purée beets and all wet ingredients in a food processor. 5. Combine wet and dry mixtures. Stir gently to combine. 6. Spoon batter into mini muffin cups and bake 18 to 20 minutes, or until a toothpick inserted into the center comes out clean. 7. 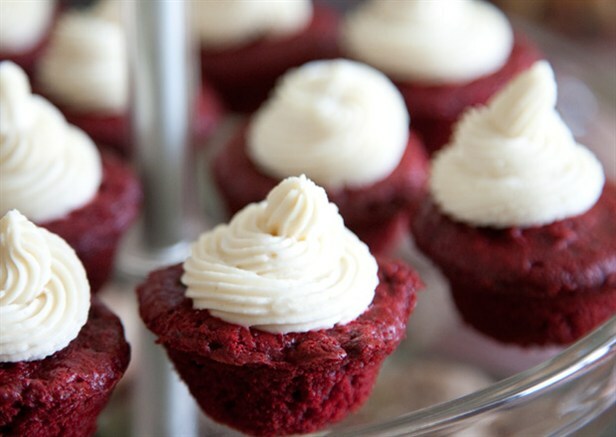 While cupcakes cool, combine frosting ingredients and spoon into a piping bag. Refrigerate until cupcakes are ready to frost. 8. Once cool, frost cupcakes and serve the same day they are baked. 1. Preheat oven to 350°F. Meanwhile, whisk all wet ingredients, plus raw cane sugar and spices, in a large bowl. 2. Tear each slice of bread into about 8 pieces. 3. Lightly spray a 9″x13″ baking dish with olive oil cooking spray and place bread into the dish. 4. Cover bread with wet mixture and, with clean hands, press down until bread is evenly moistened. 5. Bake in the oven for 50 to 60 minutes. 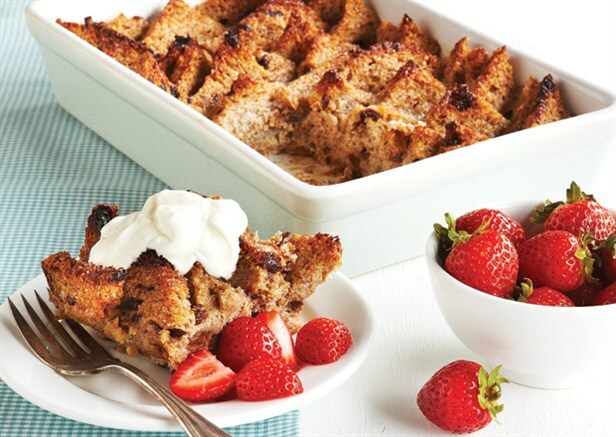 Tip: For a super-moist bread pudding, fill a deep dish with water and place it in the oven along with the bread while it cooks. 6. Serve with berries and Greek yogurt (optional).